Sunday, April 24, 2016 will be the first-ever National Park Rx Day, and it’s an opportunity for members to spread the Exercise is Medicine® message. This day will be celebrated across the United States to promote the growing movement of prescribing parks and nature to patients as a means for improving human health. VADM Vivek H. Murthy, US Surgeon General, will present a keynote address at this event when it is celebrated in Washington, DC. National Park Rx Day encourages everyone to see recreational visits to parks and public lands as very important parts of their health. According to the National Parks Service, there are eight reasons to get outdoors and enjoy a walk in the park on Park Rx Day! Parks and their health benefits can be enjoyed by anyone, regardless of who you are or from where you come. Contact with nature through parks improves all people’s physical, mental and spiritual health. Parks foster social connections which are vital to community cohesion and contribute to social well-being. National Park Rx Day is a promotion of the National Park’s “Healthy Parks Healthy People” initiative. It is a global movement that harnesses the power of parks and public lands in contributing to a healthy civil society. The idea originated with Parks Victoria, Australia, and was brought to global prominence at the 1st Healthy Parks Healthy People Congress in April, 2010. The National Park Service’s Healthy Parks Healthy People US program was established in 2011 to reframe the role of parks and public lands as an emerging, powerful health promotion strategy. See the NPS Healthy Parks Healthy People website for further information. Moving, in all its forms, is advantageous to healthy body function. Outdoor physical activity/play can and should be interesting, enjoyable and satisfying. In that way, it will provide both reinforcement and motivation for continued participation. This is the goal of National Park Rx Day. Participation also may confirm and/or instill the realization that a reasonable level of physical fitness is beneficial for both outdoor activities and everyday life! For those with higher goals, preparation (e.g., training) for challenging outdoor “adventures” becomes an additional reason to maintain or improve physical fitness. So, get out there and wheel chair, walk, run, hike, backpack, climb, swim, canoe, kayak, raft, snorkel, cycle, etc. And, encourage others to do the same — not only on April 24 but every day! 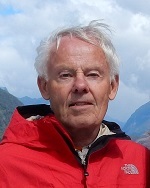 Thomas P. Martin, Ph.D., FACSM, is professor emeritus in the Health, Fitness, and Sport Department at Wittenberg University in Springfield, Ohio. He is an ACSM Registered Clinical Exercise Physiologist and Exercise is Medicine® credential holder (Level 3). He is a member of the National Park Foundation and has been promoting healthy “physical activity” on our protected land/water for several years. His avocation is “Outdoor Pursuits.” He has been physically active in all 59 of the U.S. National Parks and continues to pursue a goal of experiencing all National Park Areas (>400). In addition, he has completed 49.8 of the U.S. State Highpoints and created the “Martin Classification of Difficulty for U.S. State Highpoints.” The Martin scale is based, in large part, on the total energy expenditure to reach each highpoint – click here to access the Martin scale.